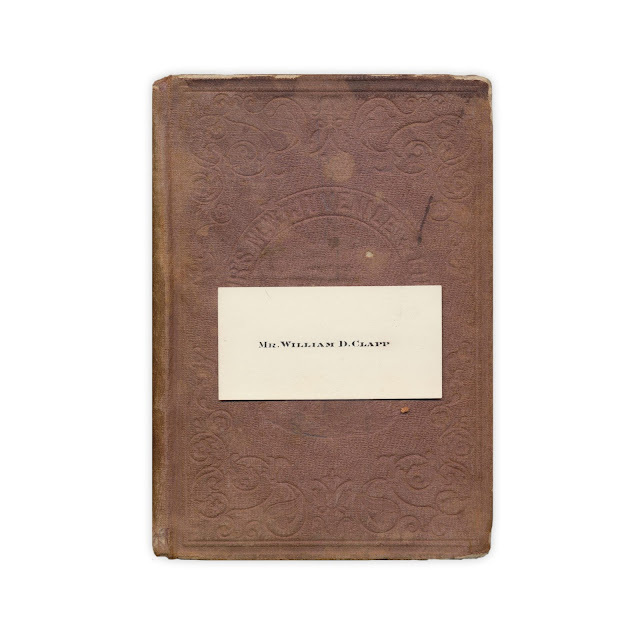 Name card of Mr. William D. Clapp. Found in "Pierre The Organ Boy" by T.S. Arthur. Published by Lippincott, Grambo and Co., 1854.